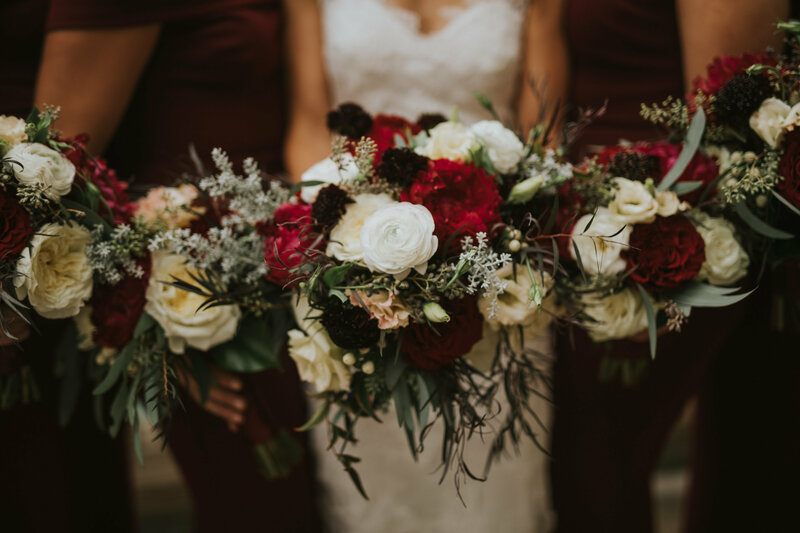 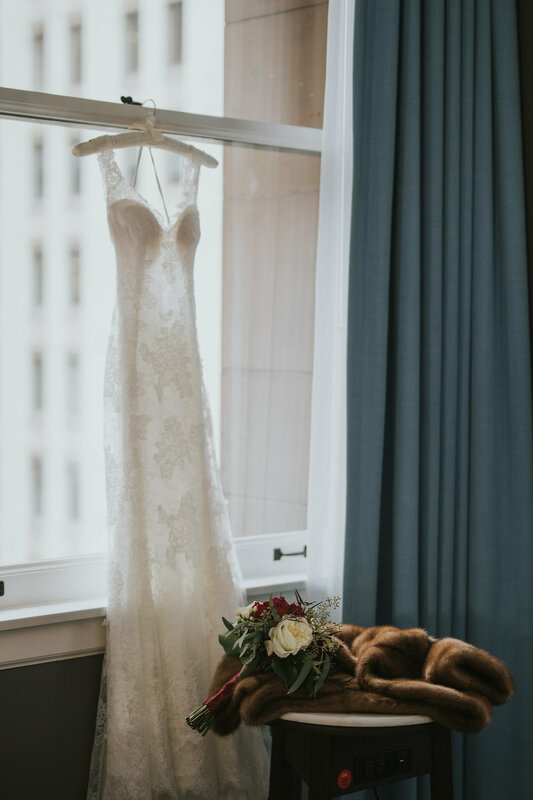 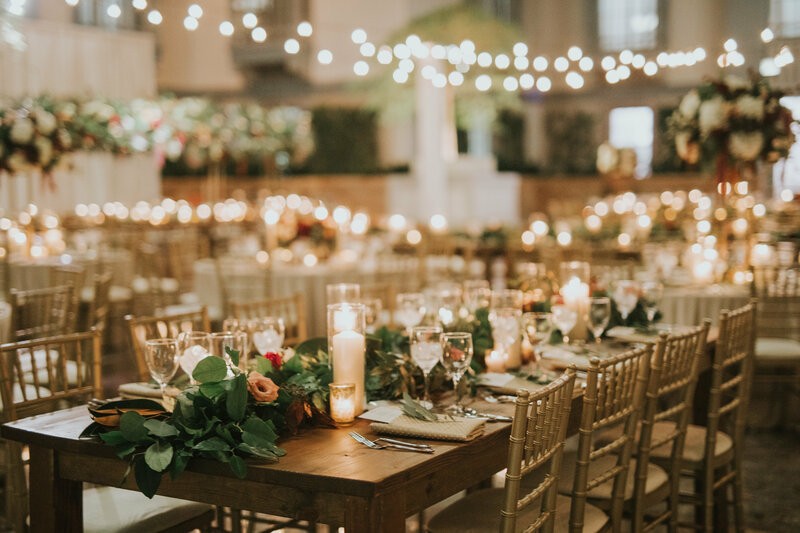 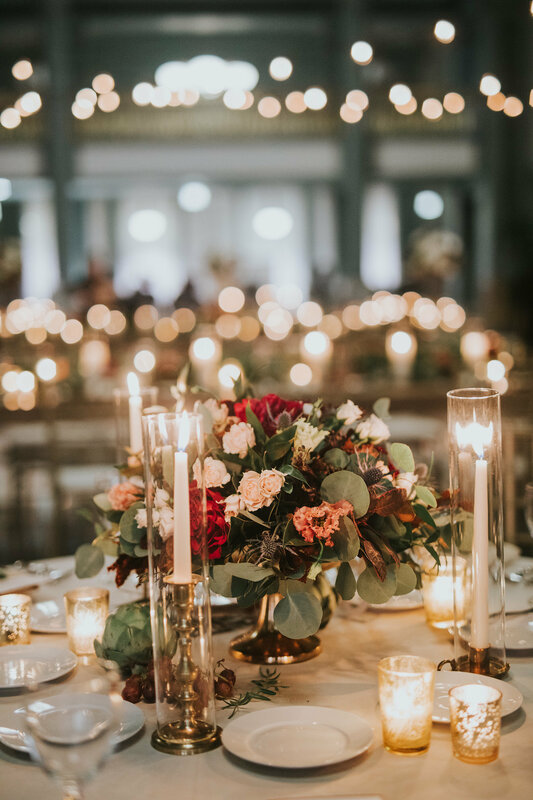 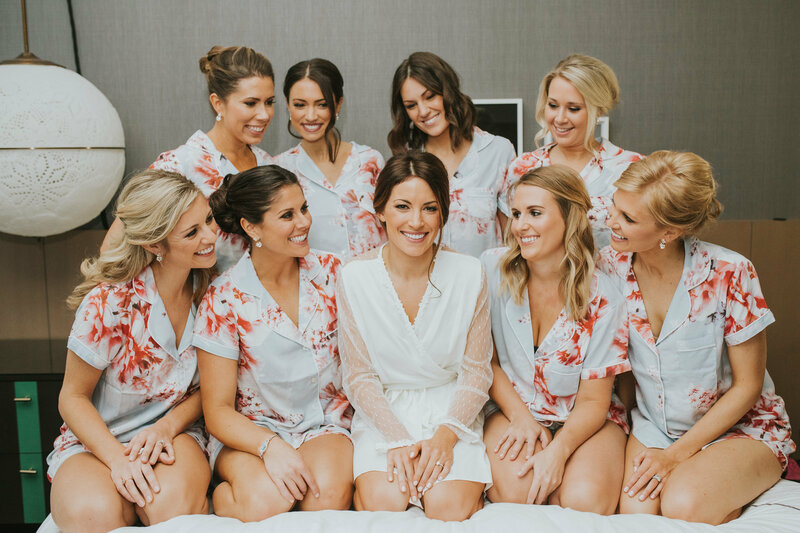 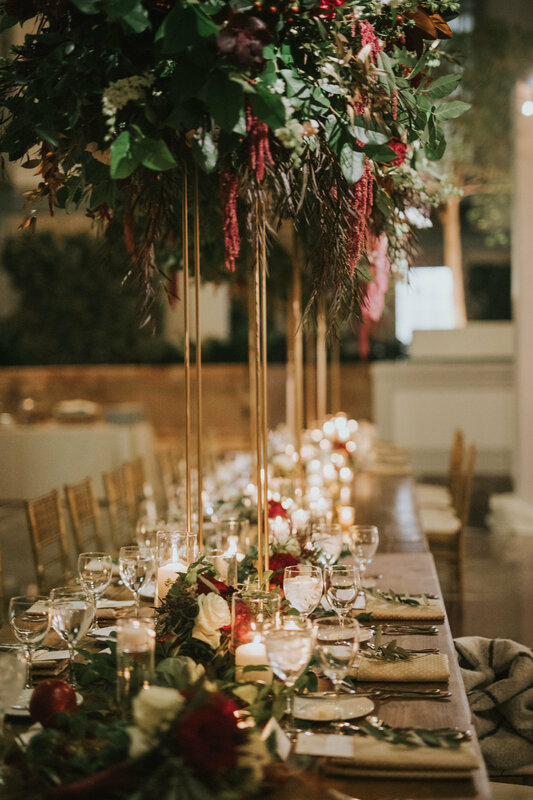 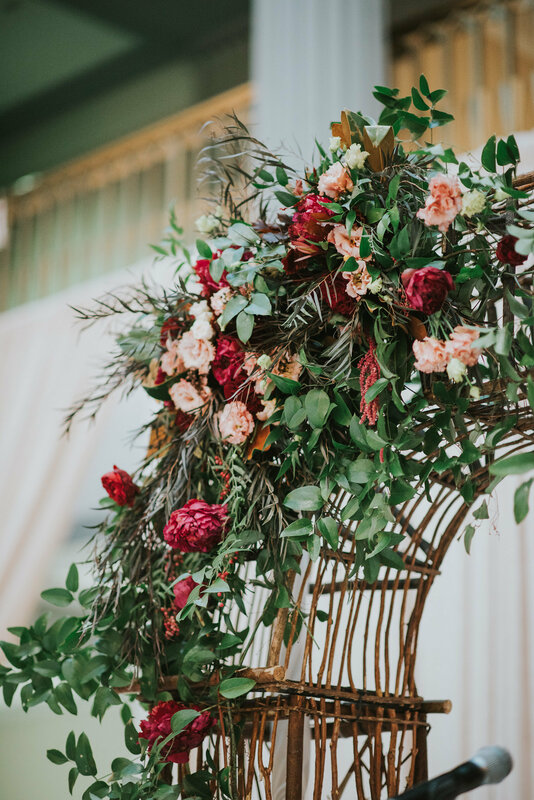 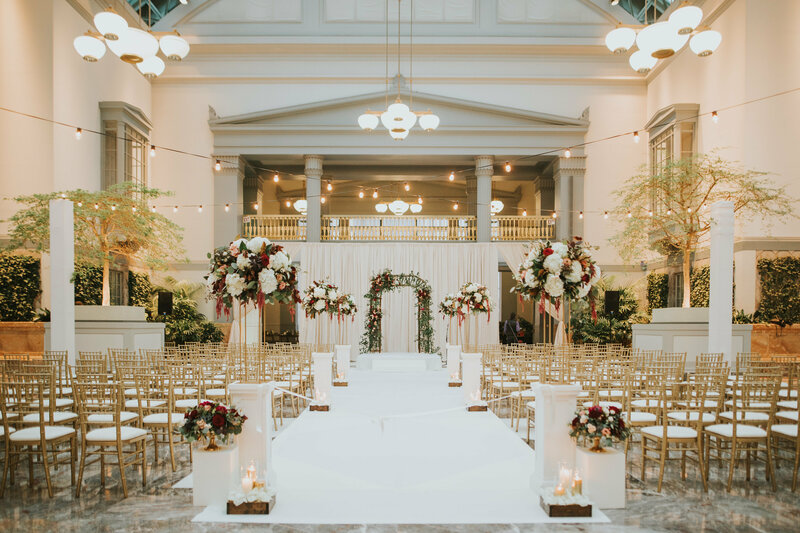 When I first started working with Sarah and Dan, we knew the goal was to plan a beautiful, lush fall wedding at Harold Washington Library, without feeling too themed or holiday-esque. 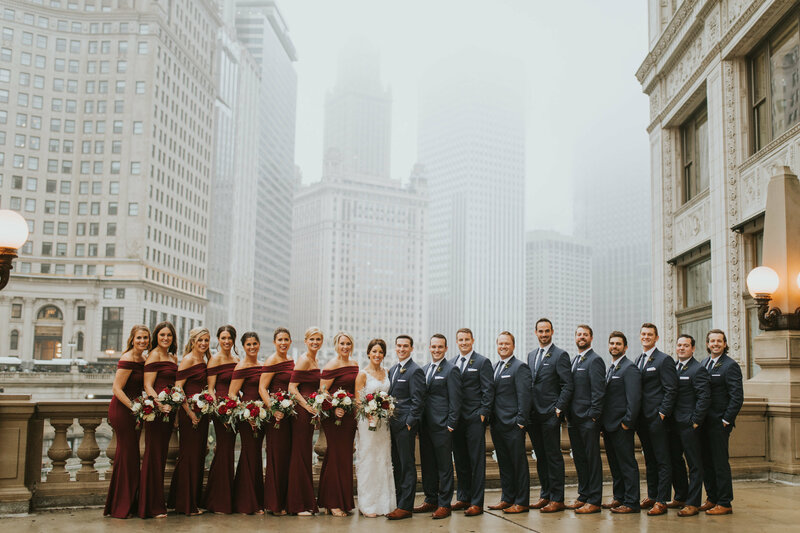 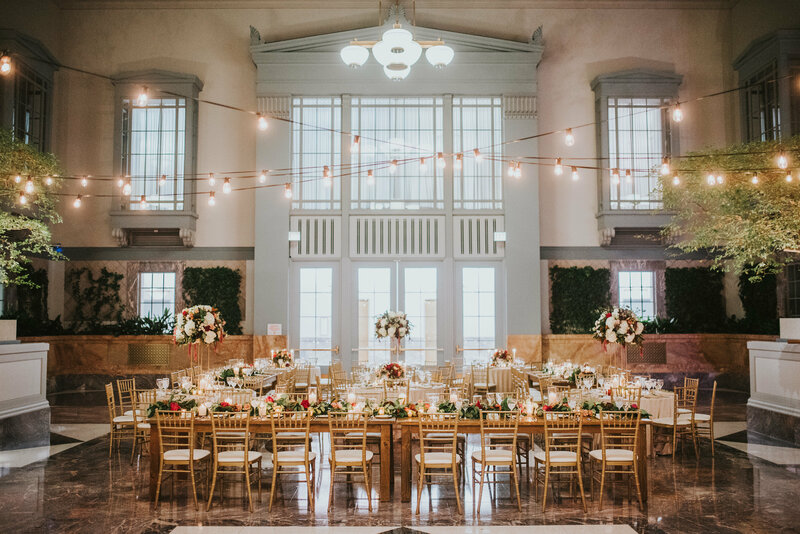 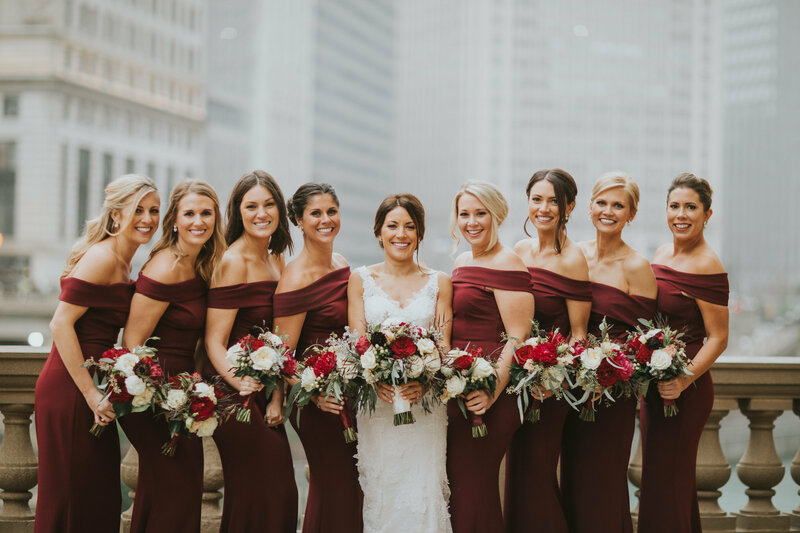 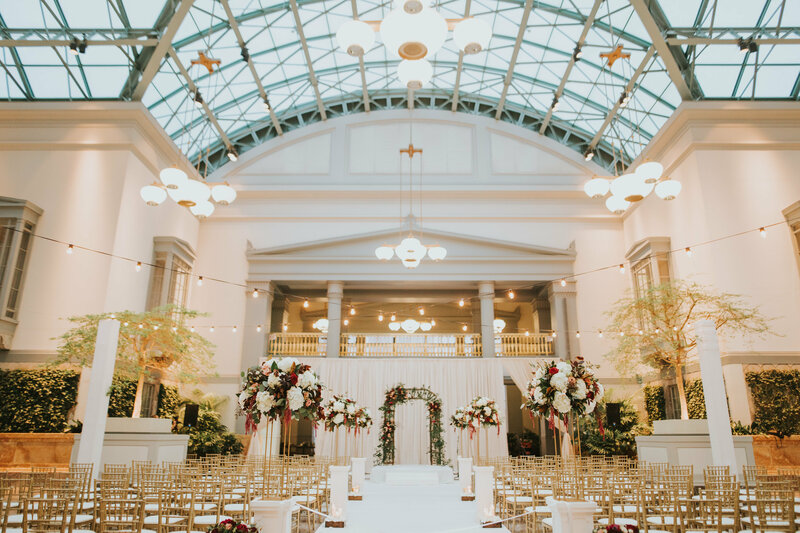 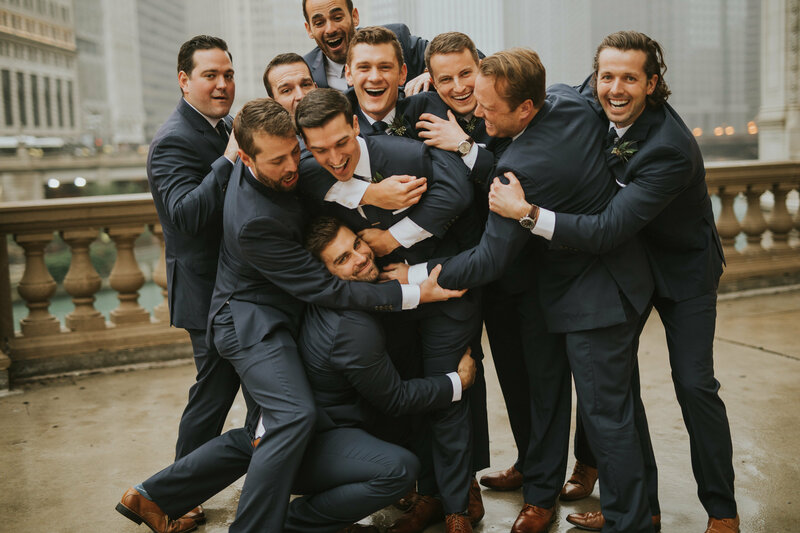 They loved the idea of Harold Washington Library as their venue because the Winter Garden really broughtthe outside in, without having to have the stress of weather on the day of. 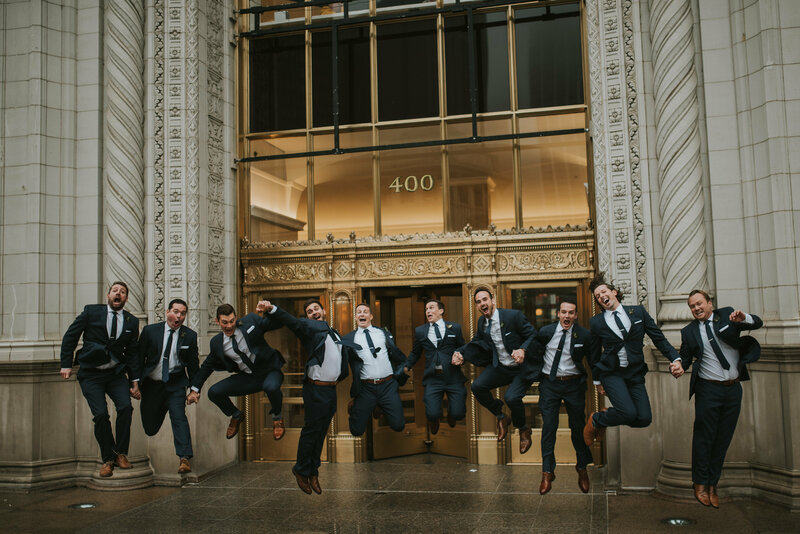 The day started with Sarah and Dan each spending some quality time with their closest friends, and I have to say, these were the rowdiestgroomsmen I’ve seen to date, and they were willing to do anything for the perfect shot –Polly C Photography and Carrot Wedding Films ate it up. 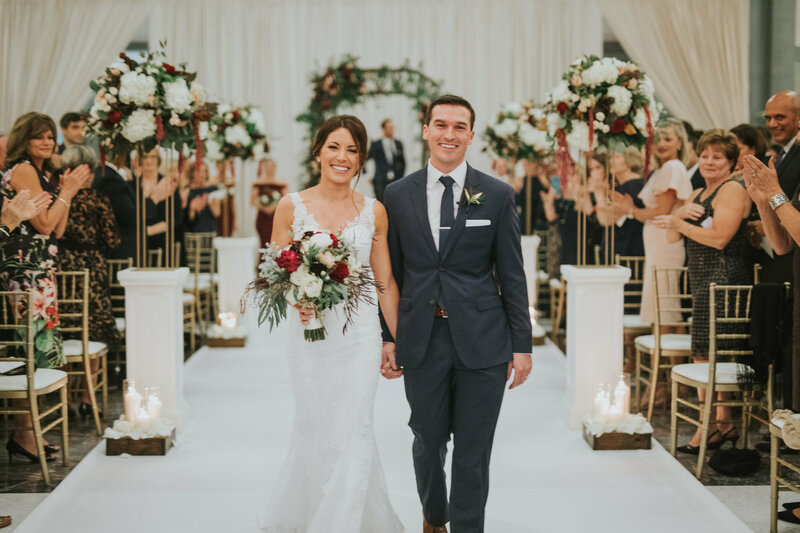 Sarah and Dan’s ceremony in the Winter Garden was picturesque –Exquisite Designs created a stunning, grapevine archway to act as the perfect finishing touch to an already gorgeous couple, and café lights hung overhead to remind guests of a warm summer’s night on the patio of their favorite restaurant. 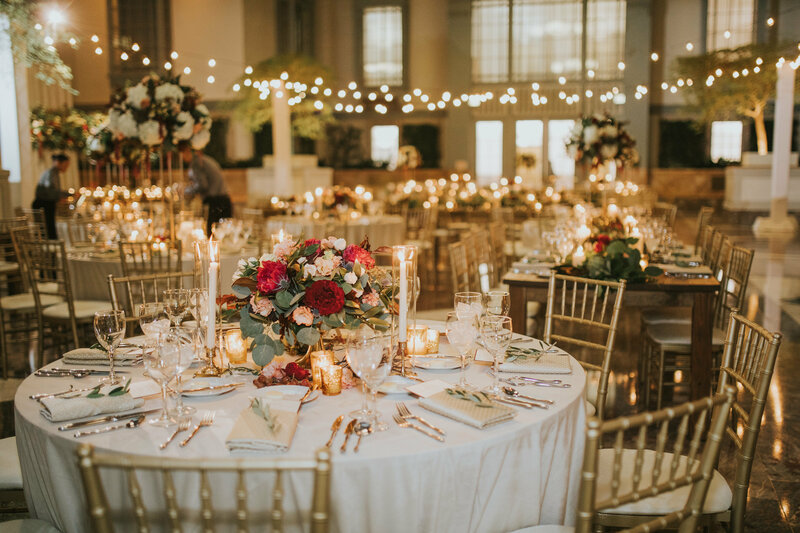 As guests cocktailed in the Grand Lobby of Harold Washington Library and ate delectable bites from Food for Thought Catering, the Winter Garden was transformed by Exquisite Designs from a stunning, garden ceremony set-up to the most perfect outdoor dining experience you could imagine. 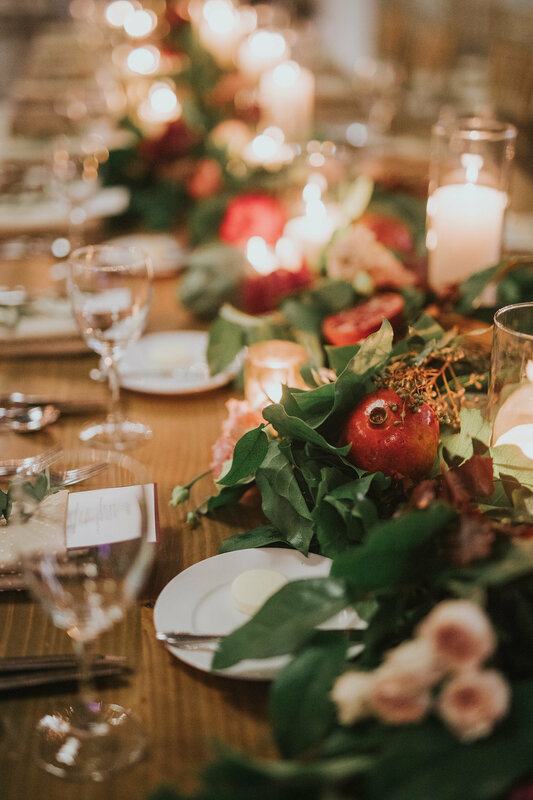 Sultry and moody purples, blues and burgundies were incorporated into the tabletop designs, complimented by fantastic dove velvet linens from BBJ Linen that made guests swoon as soon as they landed in their seats. 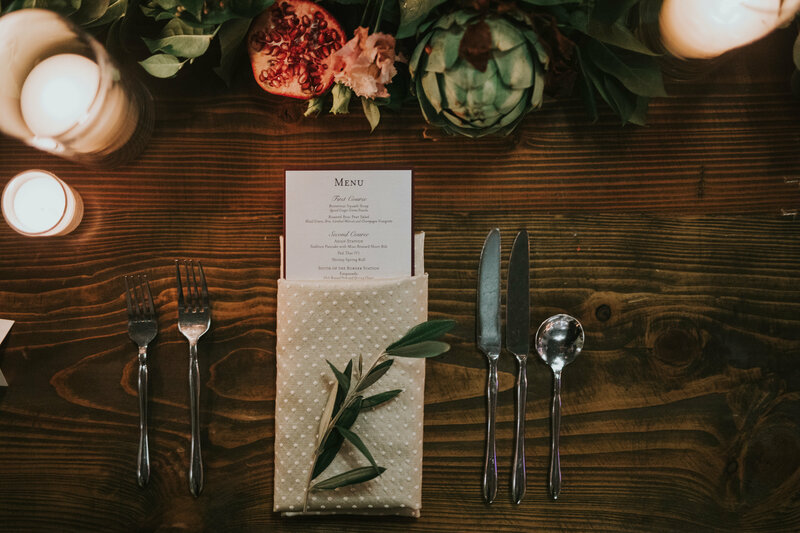 To keep things interesting and textural, we had the idea of using non-traditional elements of pomegranates, grapes, berries, and artichokes. 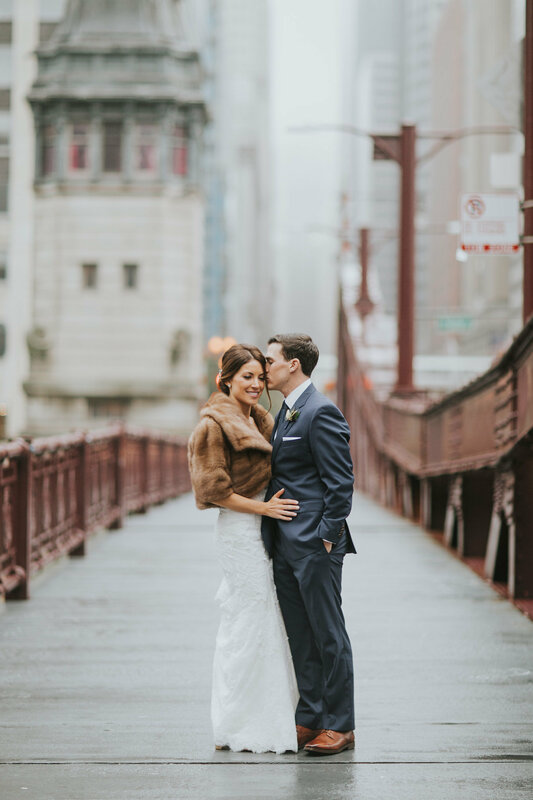 A sprig of olive branch at each setting was the perfect icing on the cake. 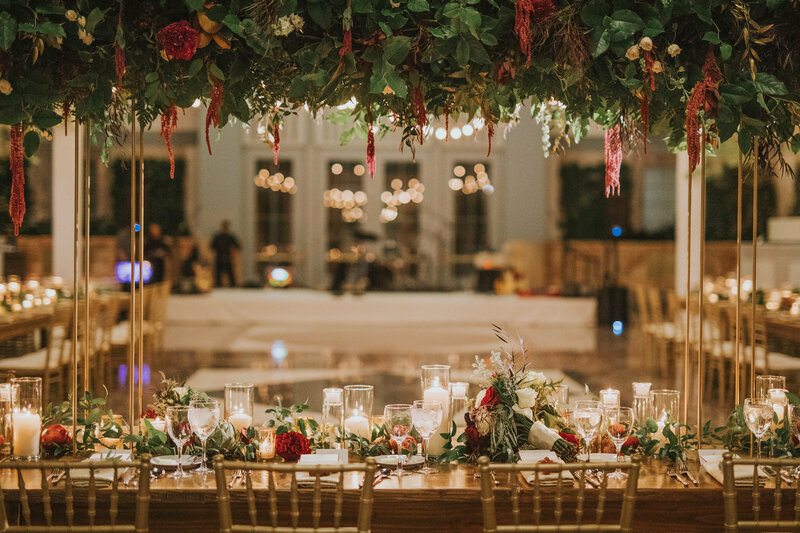 As a reflection of Sarah and Dan’s love of travel, guests were treated to an around the world dining experience –stations from inspired by Italy, Asia and Mexico were brought to life by Food For Thought Catering, finished later in the night with some American classics like pulled pork sandwiches and Mac n Cheese while guests danced the night away to Final Say Band!